Only 12 days left to submit your nomination for the 2017 Marine Environment Protection Awards . We urge you to consider making a submission for one of the nine 2017 NAMEPA Award Categories listed below. Submission guidance is provided here. The deadline for the submissions will be August 19th. All submissions will then be carefully reviewed by the NAMEPA Board of Directors and a recipient selected in each qualifying category. The winner will be notified no later than September 1st. This year’s NAMEPA Awards will be presented at our annual NAMEPA Awards Dinner that will be held in New York on October 26th. It is expected that for each category, the winner’s senior executive will be present to receive the award, as well as participate in a Senior Leadership Roundtable discussion on Corporate Risk Management that afternoon. 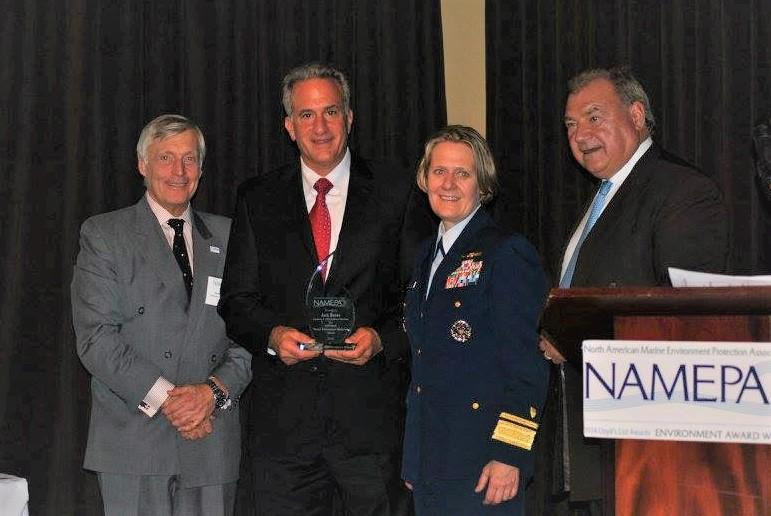 NAMEPA annually recognizes companies, associations, government agencies, academic institutions and individuals whose efforts support our mission to “Save Our Seas”. Since its inception, NAMEPA has been engaging maritime businesses, government, educators and the public to “Save Our Seas” by promoting sound environmental practices. Previous recipients have included Royal Caribbean Cruise Lines, Maersk, APL, Teekay Corporation, Titan, the United States Coast Guard, Massachusetts Maritime Academy, National Geographic, NOAA and others. Click here to view Award Criteria– Submissions may be made electronically to Jane Seyer at j.seyer@namepa.net.